The Resurrection, by Cottier & Co. 1890. 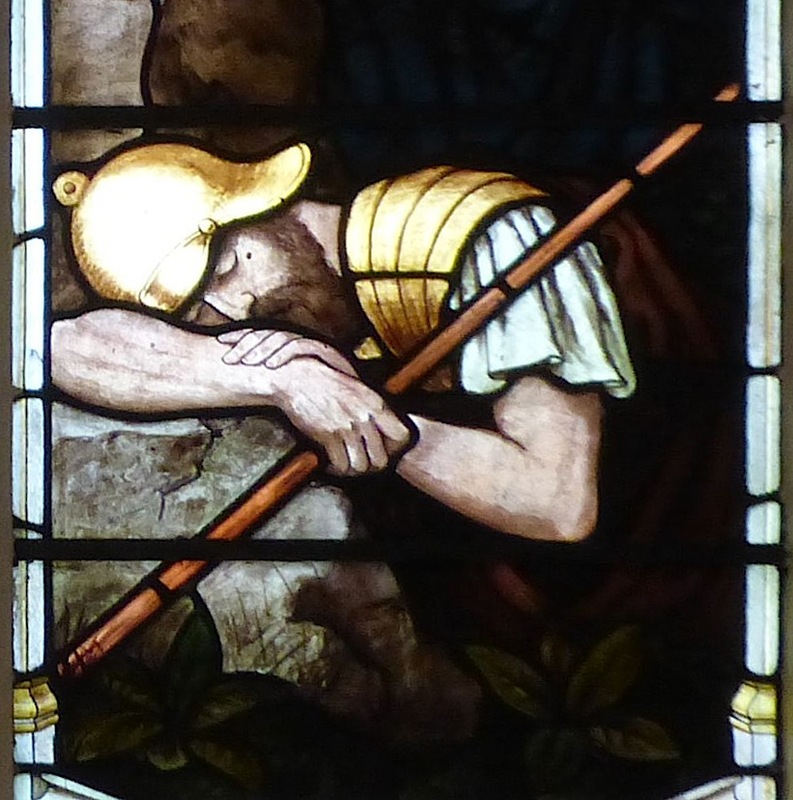 This is in the lower part of a larger window in the north wall of St Mary's Parish Church, Dundee, below the gallery at the furthest west (Gifford 92). 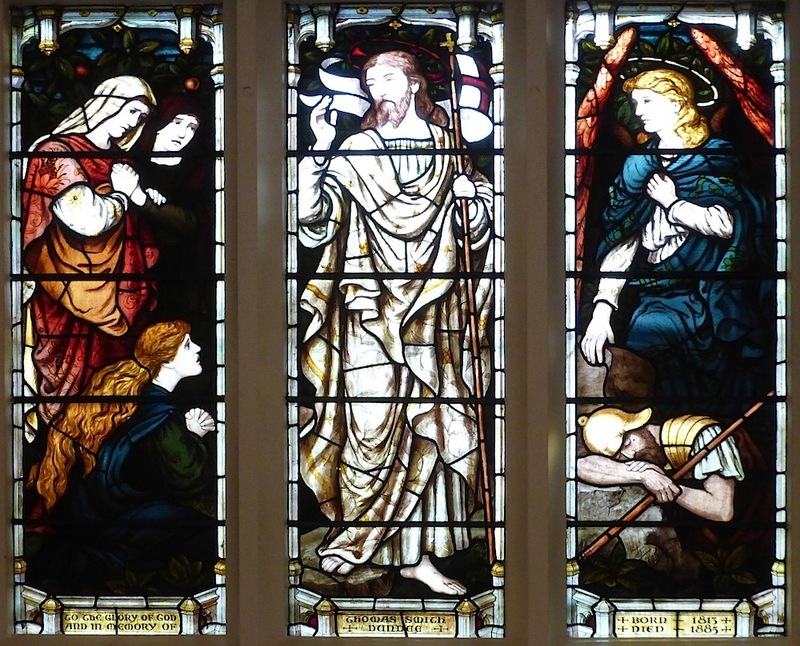 It follows one by Morris & Co., with designs by Sir Edward Burne-Jones — his Faith, Hope and Charity — and makes an interesting contrast with it, being much more deeply coloured. It was given in memory of Thomas Smith (1813-1885). 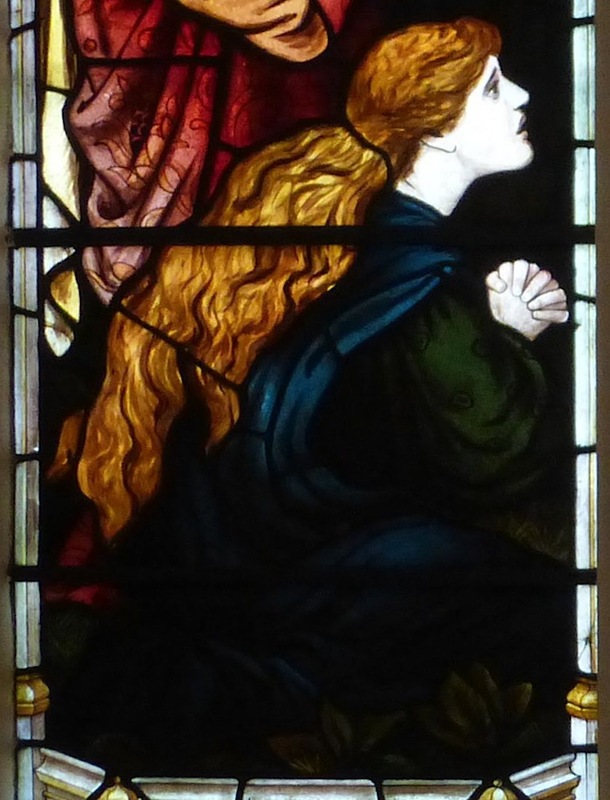 Left: Mary Magdalene, with rippling red Pre-Raphaelite hair, an expression of utter amazement on her face. Right: One of the sleeping soldiers, completely oblivious to the drama being enacted here. Dundee Parish Church (St Mary's) Photo Tour" (windows page). Dundee St Mary's. 1 December 2016.